The northern part of the Great Barrier Reef, the largest living thing on Earth, has literally been ‘fried’ in the worst coral bleaching event ever recorded, says reef expert Professor Terry Hughes. The Australian Federal Government has failed to protect the reef, which is so large it can be seen from outer space, he added. The Great Barrier Reef, off the coast of Queensland in northeastern Australia, is a 2,300 kilometre-long (1,429 miles) ecosystem consisting of thousands of reefs and hundreds of islands comprising more than six-hundred different types of hard and soft coral. The reef is home to countless species of molluscs, starfish, sharks, dolphins, turtles and a huge variety of colourful fish. 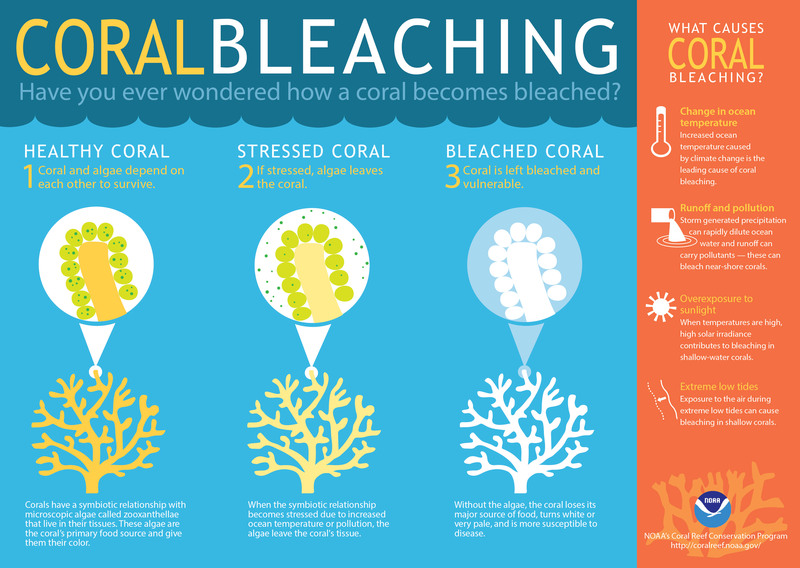 Prof. Hughes, convenor of the National Coral Bleaching Taskforce, warns that major and potentially disastrous bleaching events, driven by global warming, are beginning to occur too frequently – so frequently that the reef, which needs ten years to recover, does not have enough time. According to the Australian Institute of Marine Science, coral bleaching in the northern Great Barrier Reef (GBR) continued to worsen over the past two weeks, even as cooler weather brought much-needed reprieve to southern and central areas. 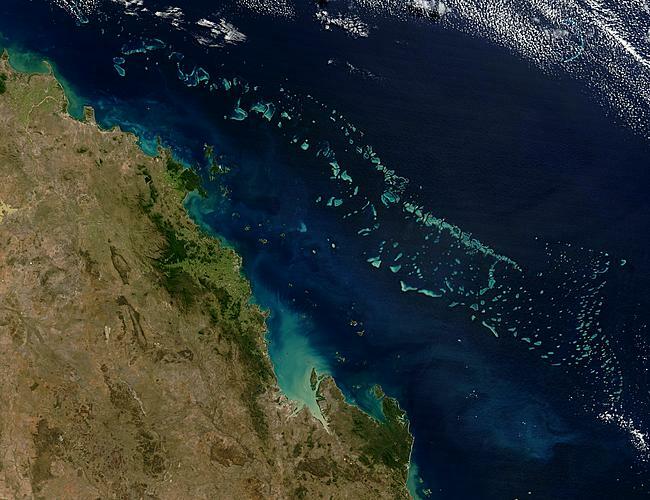 The northern Great Barrier Reef, which is 1,000 kilometres (621 miles) long, stretches from Cairns to Cape York. Prof. Hughes has just completed aerial surveys that sadly show devastating levels of bleaching in the northern part of the Great Barrier Reef. Out of the 520 reefs surveyed between Papua New Guinea and Cairns, only four appear to be unaffected, experts reported after the latest aerial survey. Ninety-five percent of the 516 reefs have at least 30% of their corals affected – a significant proportion of them have more than 60% affected. The damage so far recorded is considerably greater than the previous record bleaching in 2002, when 18% of reefs had over 30% of their corals affected. Despite concern by marine experts and environmentalists over water quality and mining-related port developments, UNESCO decided in 2015 not to list the Great Barrier Reef – a World Heritage listed reef – as ‘In Danger’. Greg Hunt, Australia’s Environment Minister, who personally witnessed bleaching in the northern reef earlier this month, says the damage is the most severe on record. He added, however, that bleaching in the rest of the marine park, according to what he saw, has been moderate or minor. Greenpeace warned that if the Carmichael coal mine ever got into full production, it would put 121 million tonnes of greenhouse gas into the atmosphere annually. It would also ship sixty million tonnes of coal directly through the heart of the Reef. Experts say the northern part of Australia’s Great Barrier Reef is going through the worst coral bleaching on record.